The extradition of a genocide convict, Vincent Murekezi, yesterday, marks the beginning of a long-overdue obligation of Malawi—a southern African country that has been criticized for sheltering genocide fugitives for more than two decades. While Malawi is not the only country to extradite genocide suspects recently, Malawi becomes perhaps the first southern Africa country to send fugitives to face justice in Rwanda. 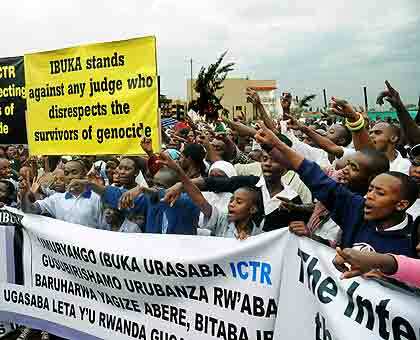 Under the international law, all states have the obligation to extradite or prosecute genocide suspects before their own courts irrespective of the location of the crimes and irrespective of the nationality of the victim or the perpetrator. In fact countries, including Denmark, Congo, Belgium, The Netherlands, United States, and Canada have recently extradited, prosecuted and in some cases, convicted perpetrators for their involvement in the extermination of Tutsi in 1994 genocide. Up until now, several high-profile fugitives, are believed to live quite comfortably in southern African countries mainly Zambia, Malawi, Zimbabwe, and Mozambique. One of the most wanted genocide criminal, Protais Mpiranya, is among those who are reported to be sheltered by the Zimbabwean government, operating businesses in Harare, on top of acting as a mercenary for the ruling party ZANU-PF to silence the opposition. The US government put a 5 million prize on his head as part of the Rewards for Justice Program. He uses several aliases, including Yahaya Mohamed, Hirwa Protais Alain, Alain Protais Muhire, James Kakule, and Mambo Mapendo Augustin. In the immediate aftermath of the genocide, many Rwandan Hutu refugees including genocide perpetrators, sought asylum in these countries often under fake names, making it even more difficult to track them down. An estimated 5000 to 10,000 Rwandans have already settled in this region since 1994. Although the recent move to send the first genocide suspect to Rwanda by the Malawian government might be a too late, too little of a gesture, it sets an important precedent that should be followed by other southern African states such as Zimbabwe.